The leadership of the Armed Forces and the Nigerian Police have met and agreed to launch a special joint operation to rout bandits and other criminals currently terrorising residents of the country. The Defence Headquarters, Abuja, confirmed this on Saturday, saying the armed forces and the police authorities had identified gaps in their efforts and resolved to address those issues together. The DHQ spokesman, Col. Onyema Nwachukwu, in an interview with The Punch, said the military and police were given “marching orders”, and had carried out a re-evaluation of their efforts against the bandits as well as the next line of action. Nwachukwu stated, “The leadership of the Armed Forces of Nigeria, under Gen Abayomi Olonisakin, the Chief of the Defence Staff, and the police have met and the meeting was to identify gaps in the operations and how to address those issues. A top military source, who was part of the meeting, told one of our correspondents that the special joint operation had already been named. “The special joint operation is already in the pipeline with specific deployments expected from the army, the air force, the navy and the police, even with contributions from the Department of State Services, and the Nigerian Immigration Service,” the source added. The Nigeria Police Force had initially told one of our correspondents that the agency required support from other security agencies as well as the cooperation of political leaders among other residents of various communities under attacks by bandits, kidnappers and other criminals to free such areas from the grips of the hoodlums. The police spokesperson, Mr Frank Mba, told The Punch that the Inspector-General of Police, Mr Mohammed Adamu, had toured the affected states to assess the security arrangements in place to curb the activities of the criminals terrorising the states, saying the war would soon be won. Mba explained that the police under Adamu were already working with indigenes of the affected communities to get useful information needed to rout the criminals and free the communities. He stated, “What we require to permanently put an end to this menace is a broad-based action with intervention at multiple levels by multiple agencies. We are leading the charge at the security and law enforcement level while we expect support at the political level from the state and local government levels, religious level and traditional institution as well as socio cultural level. “The present leadership of the force is already adopting community policing strategy as one of its main strategies for combating not only banditry but other forms of crime and criminality. That is why the Inspector-General of Police, Mohammed Adamu, has been on tour of the affected areas. The IGP was in Birni Gwari, in Kaduna, he was in Zamfara, Sokoto and Katsina within 72 hours. “We believe that the Nigeria Police, acting alone all by itself, certainly will not be able to win the war. We need to bring on board more relevant stakeholders and that is what community policing is all about. I want to appeal to Nigerians to be patient and provide us with relevant support. I acknowledge the fact that this is a challenging time but the challenges are certainly not insurmountable. In the same vein, the proliferation and massive flow of weapons from Maghreb countries through Mali, Niger Republic and Chad into Nigeria is a major factor fuelling banditry and killings in Zamfara State and the North-West region, military intelligence has shown. 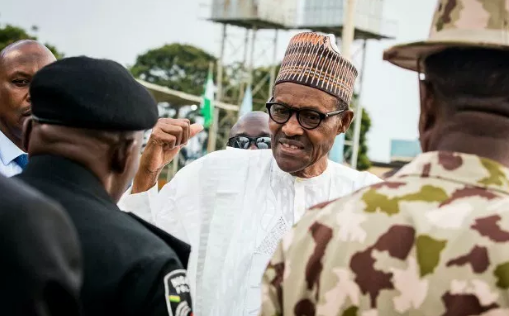 The military noted that the Arab Spring in the Maghreb countries, consisting of Algeria, Morocco, Tunisia, Libya and Mauritania, had led to more arms in-flow into West Africa, which bandits used to perpetrate killings and crimes in North-West Nigeria. This was the same position taken by the Federal Government and its armed forces in the height of the Boko Haram insurgency, when the FG identified Libya as the source of massive arms supplies to the terrorists. It equally fingered Niger Republic and Chad as major corridors the insurgents utilised to ferry their weapons to Nigeria. The military also pointed out that the terrorists received training in Mali and Libya. Nwachukwu noted that bandits came in from Niger Republic, which emphasised the cross-border nature of criminal activities in the North, compelling the military to adopt a multi-faceted approach. On Friday, the Nigerian Air Force said it had intensified Operation Diran Mikiya in the North-West, noting that during its air interdictions, many bandits in Zamfara were seen fleeing across the border into the southern part of Niger Republic. The NAF had also refuted claims that it bombed innocent civilians as bandits, demanding the traditional rulers in Zamfara State to produce the evidence that civilians were targeted by the air strikes. This demand came after traditional rulers in the state, the Zamfara Council of Chiefs, had alleged on Thursday that many innocent villagers were killed in misdirected air strikes by the military in the ongoing fight against bandits in the state. The DHQ said on Saturday that arms proliferation from the Maghreb helped the banditry in Zamfara, adding that the armed forces of Nigeria, under the leadership of Olonisakin, had met and carried out a re-evaluation of efforts to rout the bandits. The DHQ spokesman stated, “Since the Arab Spring and collapse of the Gaddafi administration (in Libya), there has been a proliferation of arms coming from the Maghreb down through Mali into Niger, Chad and Nigeria. We expected that and there have been deliberations with these countries to solve this problem, because this has become a sub-regional problem. “The problem in Zamfara is not about banditry alone. You have some socio-economic interests also because of the illegal gold mining activities. “On the issue of bandits coming from Niger Republic, we believe that there are some cross-border bandits and this makes it a multi-faceted task before us. That is why we believe the efforts should be all encompassing. Of course, we have that effort under the auspices of the Multi-National Joint Task Force in the North-East, and in the North-West region, it will be done also. Nwachukwu added that all the security agencies had ongoing operations in the North-West which were all in support of Operation Sharan Daji being carried out by the armed forces. Also, the Department of State Services has said it is committed to professionally discharging its mandate without prejudice to times or seasons. Spokesman for the service, Mr. Peter Afunnaya, said this in a telephone interview, in Abuja on Saturday. He was responding to enquiries from The Punch with respect to what the service was doing about the upsurge of crime and criminality across Nigeria. These crimes became pronounced soon after the 2019 general elections in February and March. 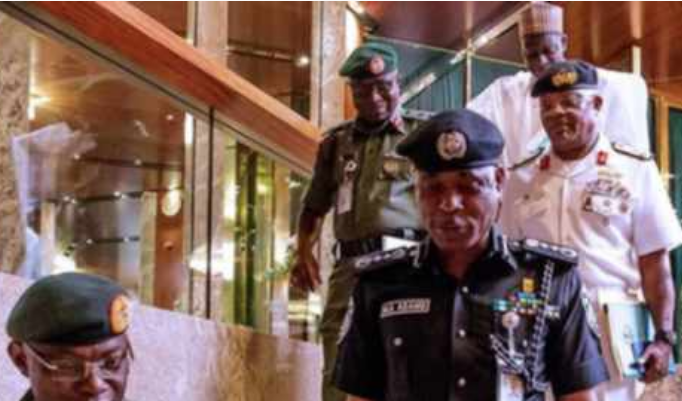 In response to a question on whether the service had started investigations into the upsurge in crime, such as kidnapping, armed robbery and killings, he said, “The service mandate is clear.